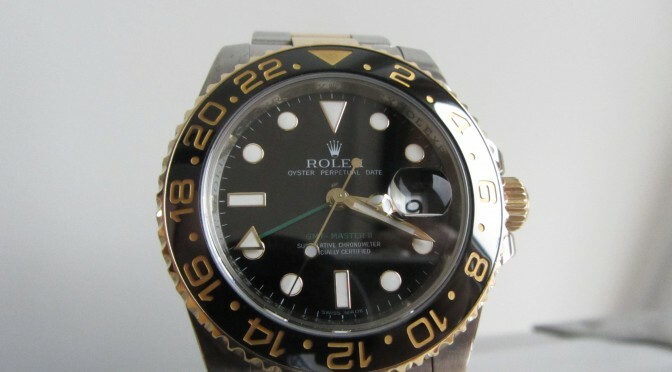 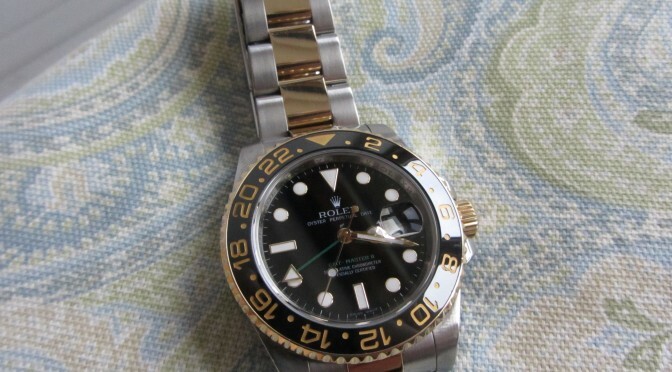 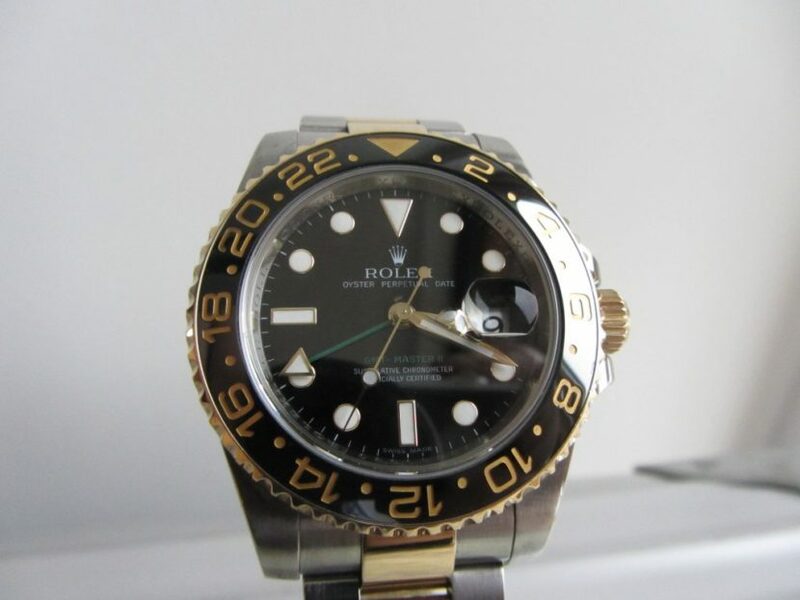 Rolex Gmt Master 2 Ceramic 116763LN a very nice sporty watch in 18k gold and stainless steel. 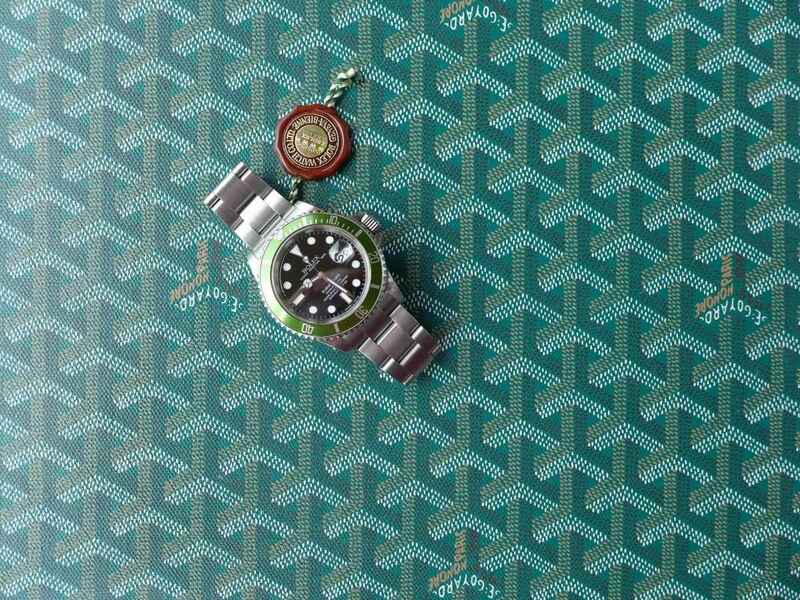 The Gmt’s primary extra function is the watch can be set for two time zones in the world, so been very popular with pilots so they know the time in the home country as well as the destination they are flying too. 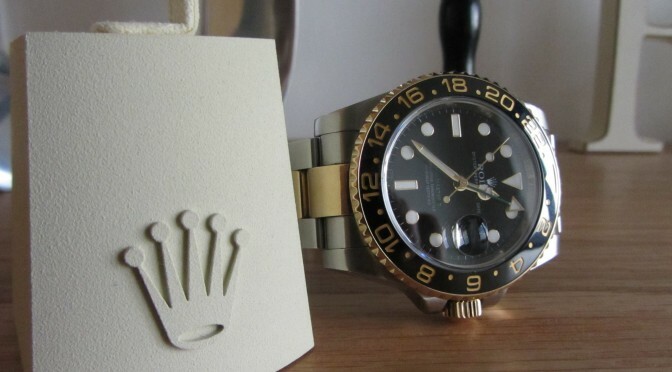 The Gmt Master comes with a ceramic bezel probably not as popular as the Rolex Submariner equal version, but equally as beautiful in ascetics. 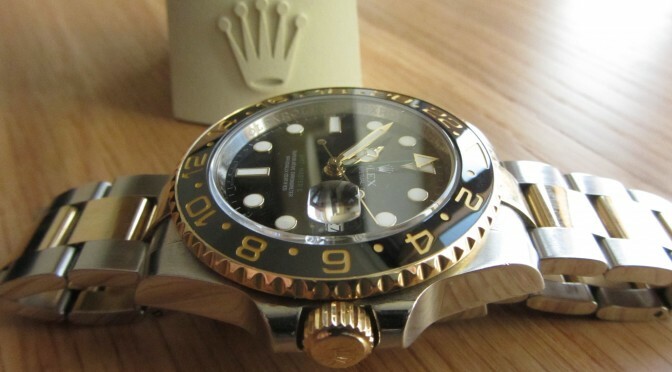 The Gmt Master as evolved over the years but been around a lot years in the Rolex sports range and still much loved time piece.